This is a classic Hollywood style Peg wig of Peggie Castle. Peggie is one of the most beautiful women ever to walk as a star on Hollywood. Together with her beautiful hairstyle, she represented a work of art in herself. Though Peggie is among us in person no longer, we have kept this wig memorial for her in several different colors. 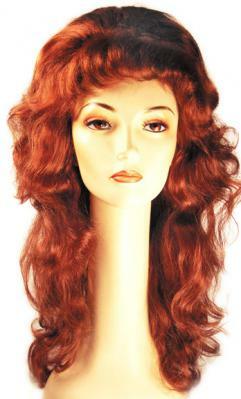 There are four different colors in total for this elegant women's wig. It is one of the most popular hairstyles in our entire collection and a beautiful one, too.